The objective of this design was to create a kitchen for entertaining. The clients wanted the design to incorporate their love of wine and to highlight their high end taste. 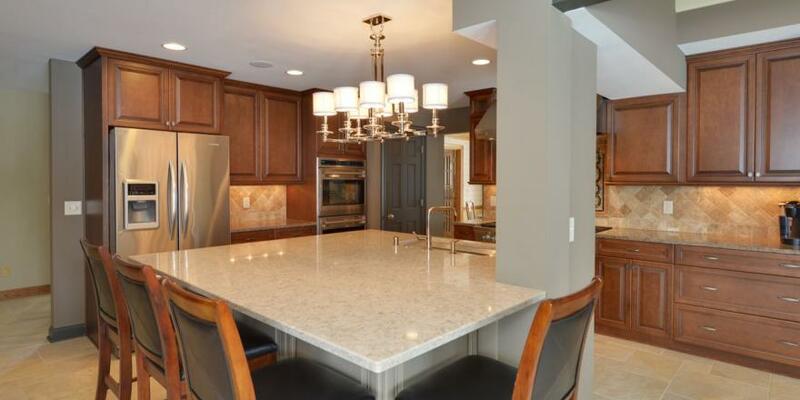 They also wanted a kitchen that their son, who is a culinary student, could enjoy with all the high-end appliances. To meet the customer’s requirements, we created a design that allowed interaction on the main level from room to room where they could entertain a large number of guests. The cabinetry varies throughout the kitchen to highlight certain areas such as the wine bar. Professional appliances were used within the design for both function and design detail.